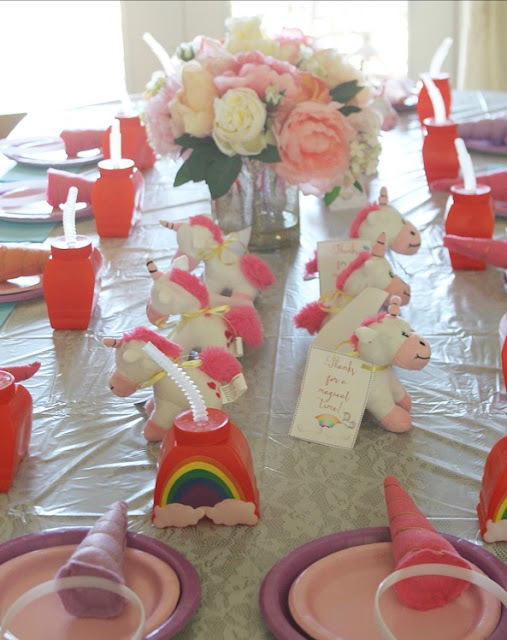 OK...I think I need to confess before sharing my daughter's unicorn themed birthday party. I may have chose the unicorn theme more for me than I did for her....BUT...she loved all of it! 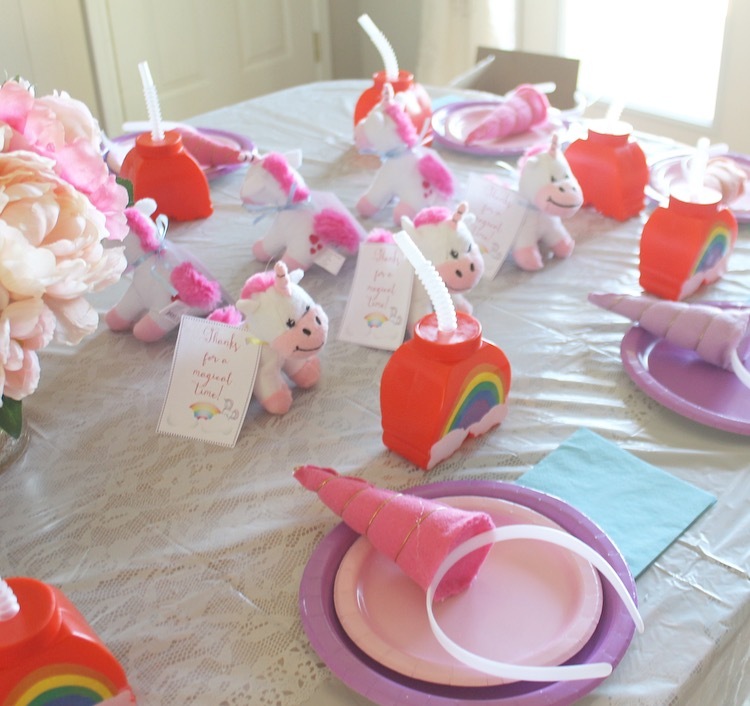 I had so much fun planning and creating this party for her. 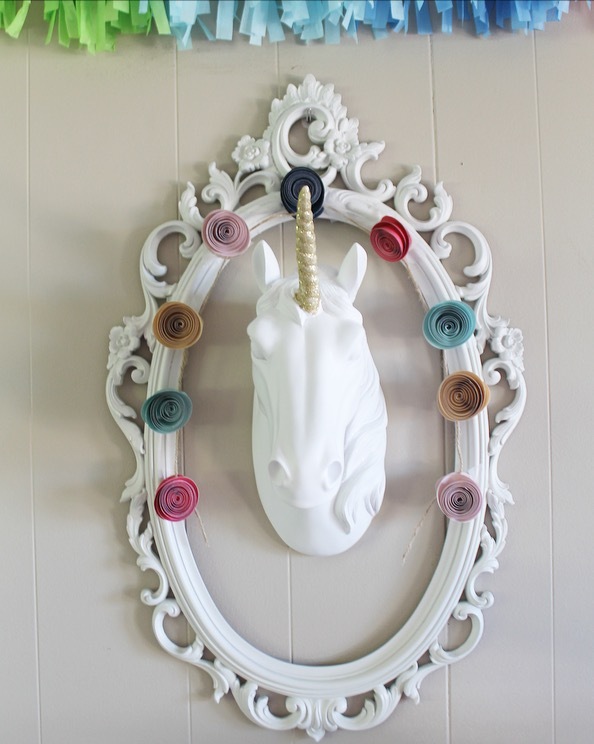 I used a lot of DIY's I found on other blogs which helped a ton in the cost. 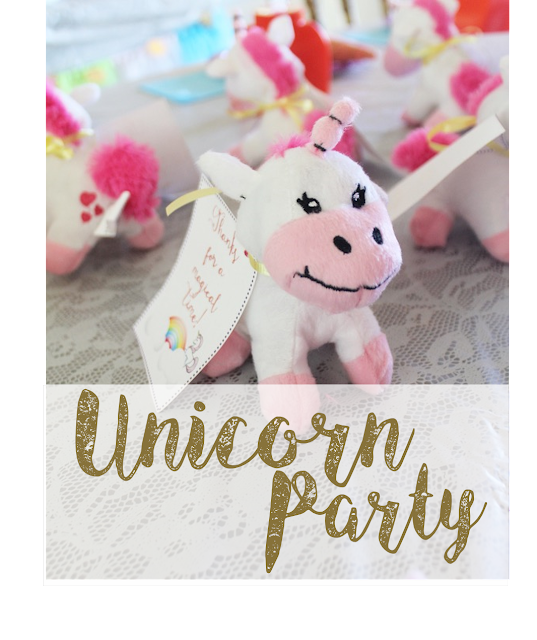 I shared all of the sources I can below in the post and I have included a "shop the party" link at the bottom. 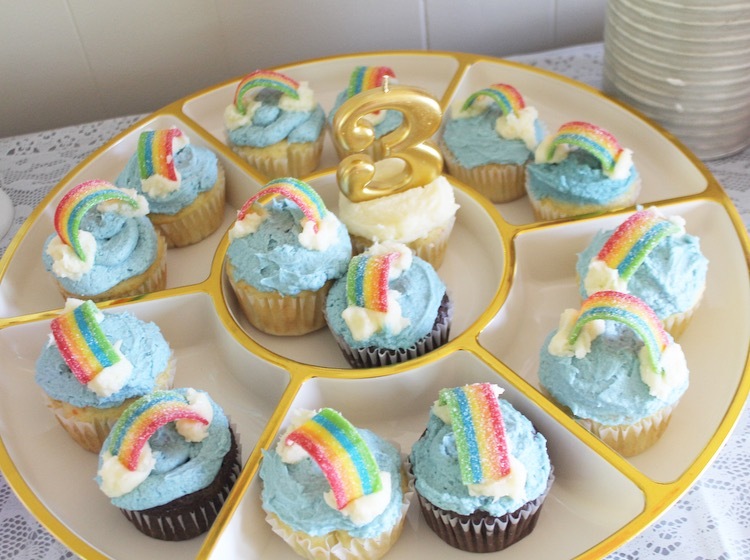 I am still kicking myself for not getting a picture of the completed table with my rainbow cupcakes on it. 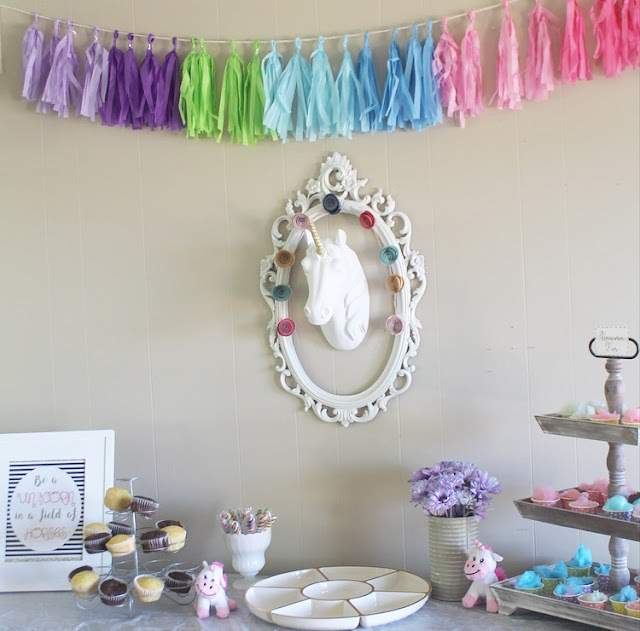 Some of the things I made myself were the glitter tulle skirt, the rainbow tassel banner, the print in the frame, the headbands, and the tags for the party favors. The glitter, tulle skirt was super easy to make! 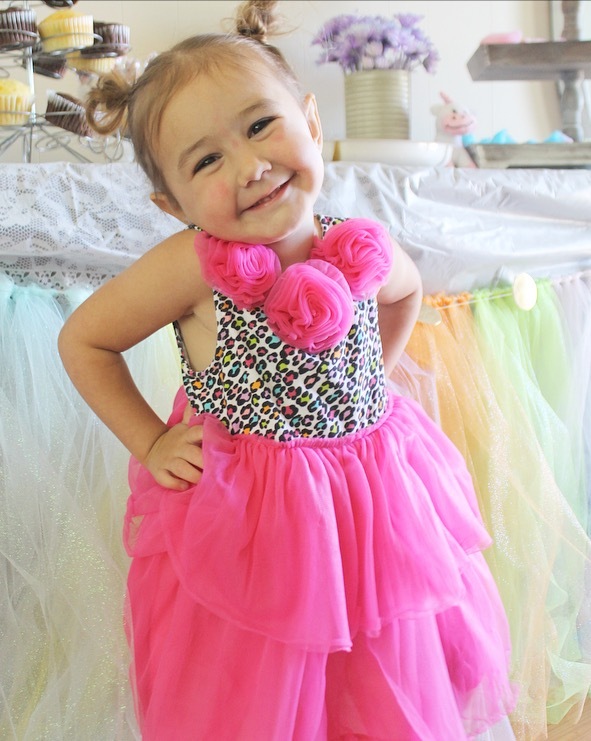 I found the glitter tulle at Walmart in rolls but I have found a set on Amazon you can find HERE. Be prepared to find glitter for weeks though! 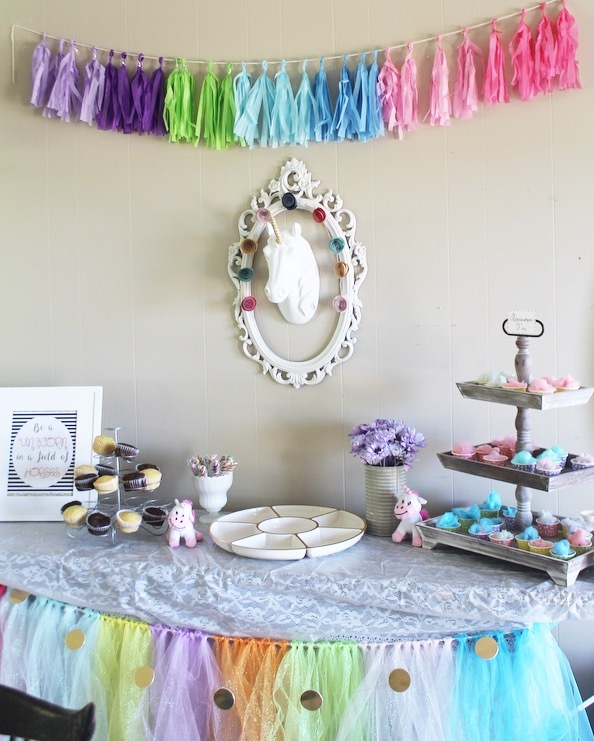 The tassel banner was made from tissue paper. I just bought multiple colors from the dollar store and found a tutorial HERE. 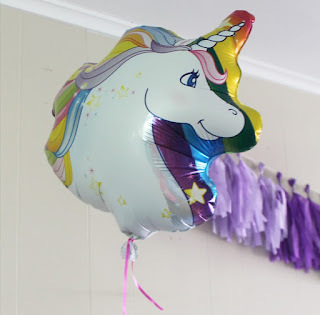 The gold dot banner I also found on Amazon and have linked them HERE. I absolutely love this unicorn head and the best part is I can use it as decor in her bedroom. I found a similar one HERE. 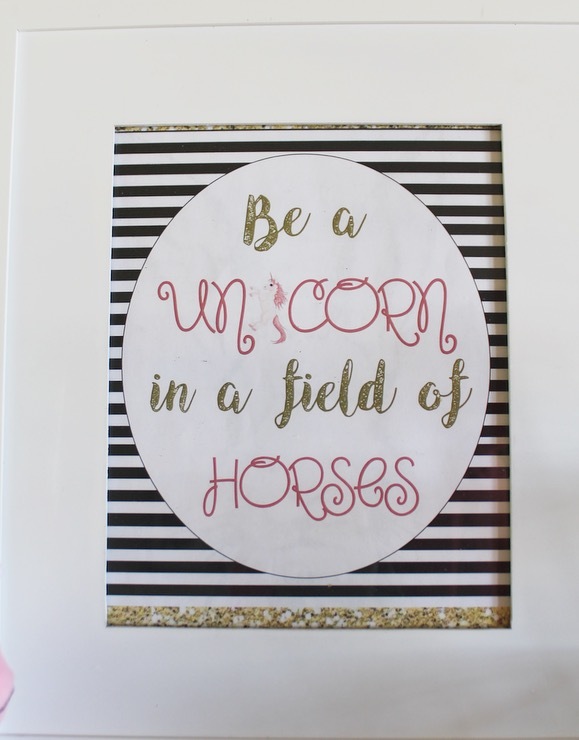 I had this frame already in my daughter's room. It was actually a mirror and I took the mirror out for the party. The little, paper rose garland was from the dollar spot in Target awhile back. 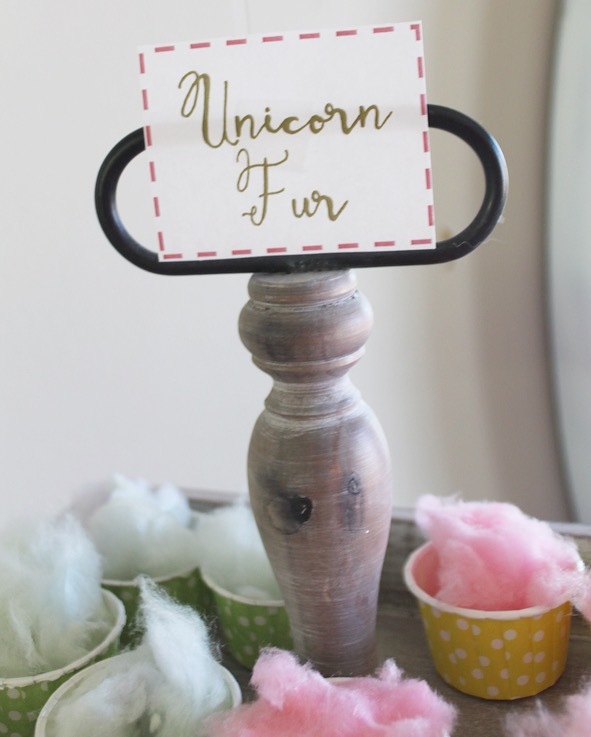 I made this little "unicorn fur" cutout on PowerPoint and printed it to tape on the top of this three tiered stand. I filled these mini, snack cups (found HERE) with cotton candy. 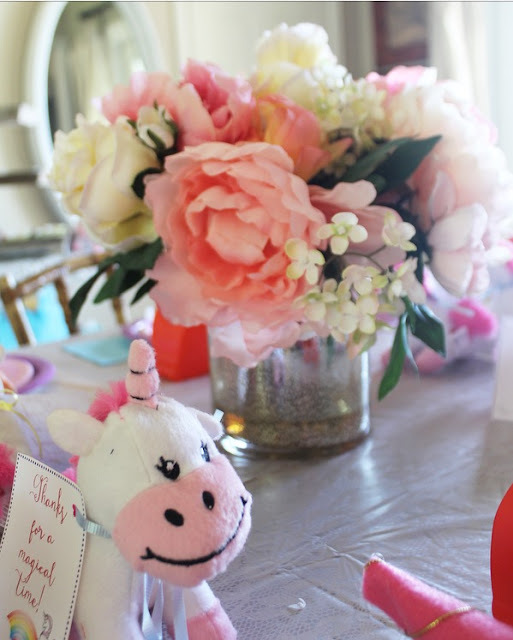 I had a really simple set-up for the kids table. I used pastel paper plates in alternate colors that I found super cheap at Walmart. 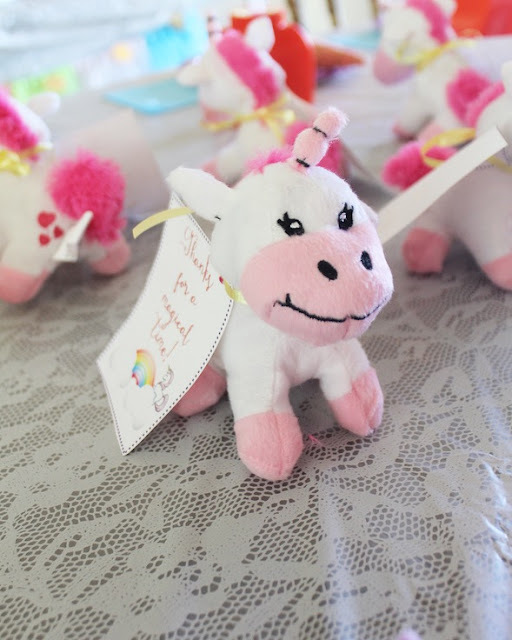 Probably my favorite thing at the party were these plush, little unicorns I used as party favors. I found them from Oriental Trading Co. I believe they come in sets of 12. 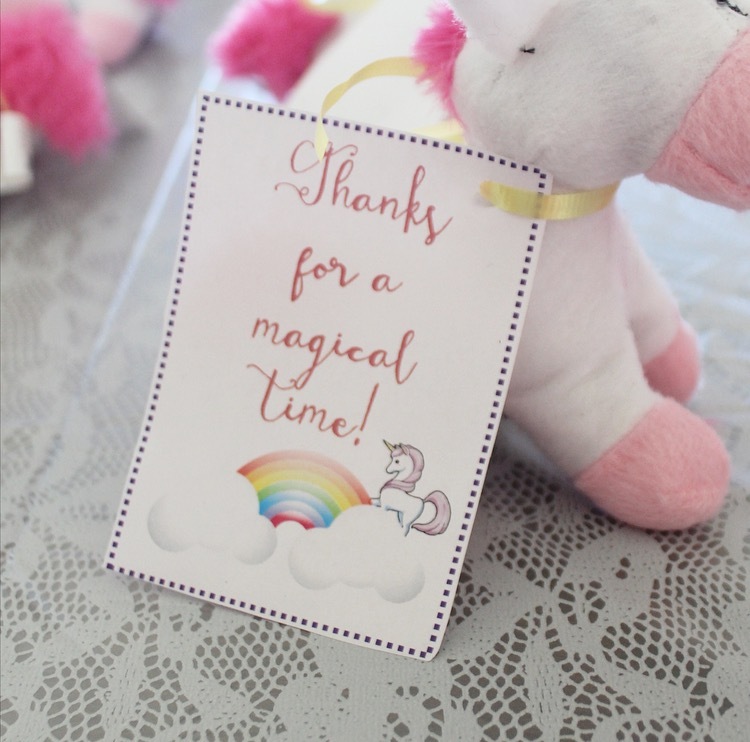 Again, using PowerPoint, I made these little party favor tags to wrap around the unicorns. 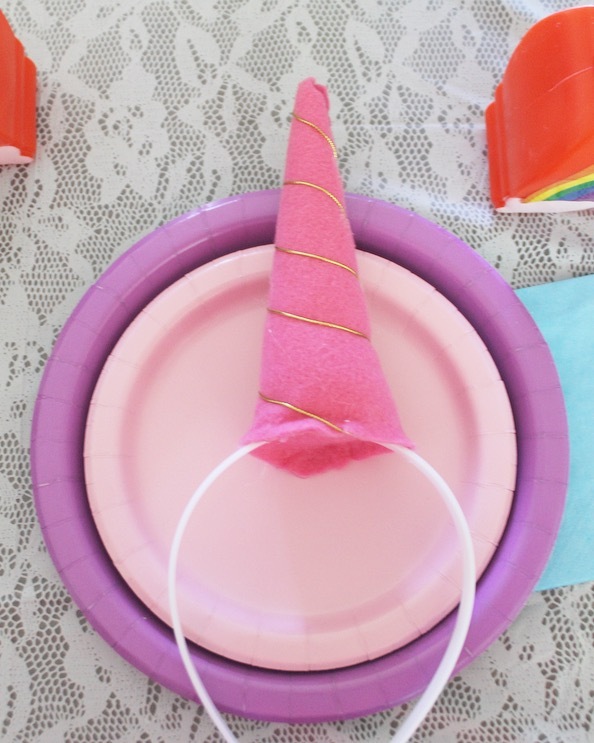 I found a tutorial (found HERE) for the felt part of these unicorn headbands, then bought some plastic, white headbands from Amazon to glue them onto. 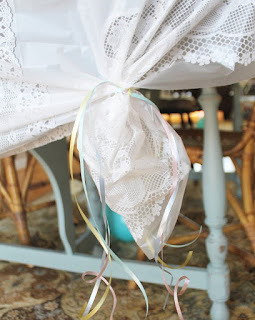 (Headbands found HERE) I found some gold bow wire at Walmart for less than a dollar to wrap around them. I love these rainbow cups I found HERE for the kids to use! 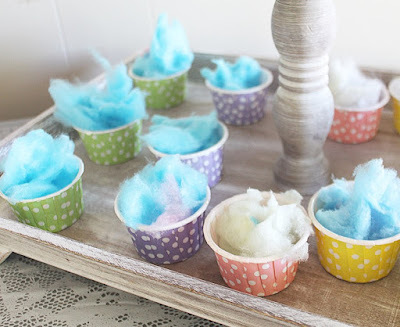 They can also take them home with them after the party. Another DIY for the party was this printable I created. I already had the white frame so I displayed it on the table for decoration. 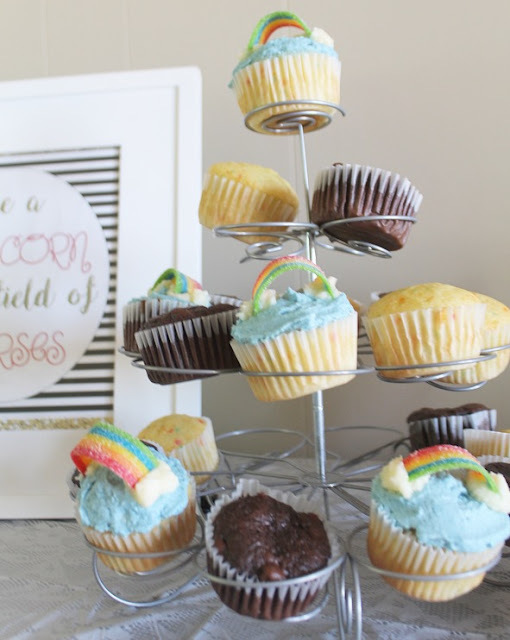 I made these rainbow cupcakes from another tutorial I found HERE. They in no way look as good as the ones from the tutorial I found...but they were delicious anyway! 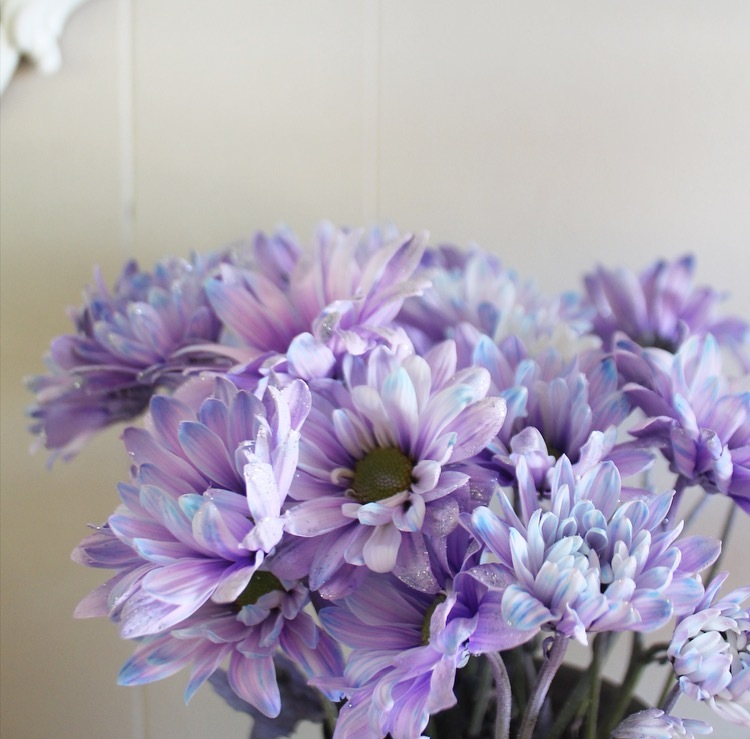 My local grocery store had these purple and turquoise flowers that I thought were perfect for a unicorn party! 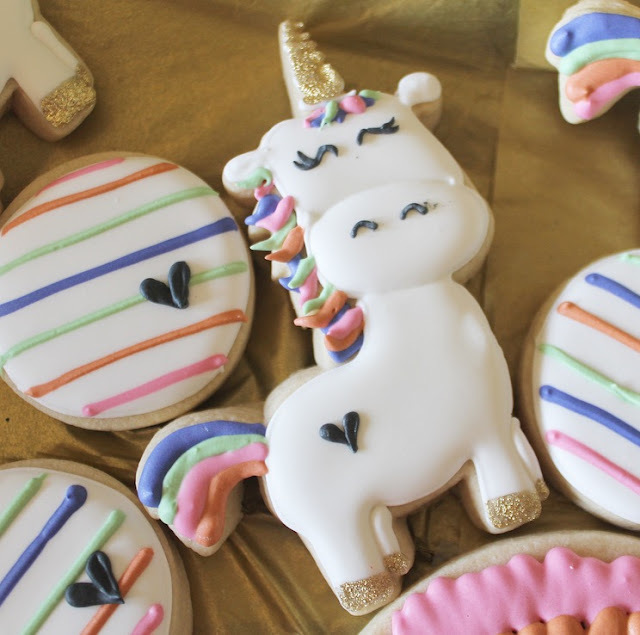 So I have this amazing best friend who happens to be awesome at making sugar cookies. 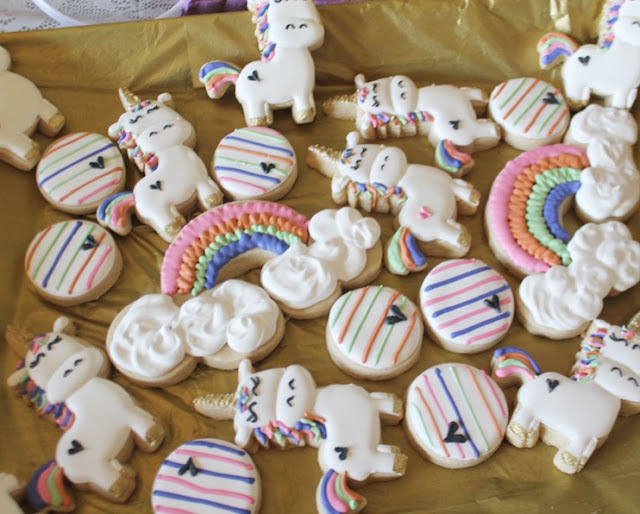 She made me these unicorn themed cookies for Sadie's party and they are beyond cute!! Thank you Shelby @ Sweetlings Cookies! I love the little gold, glitter details! 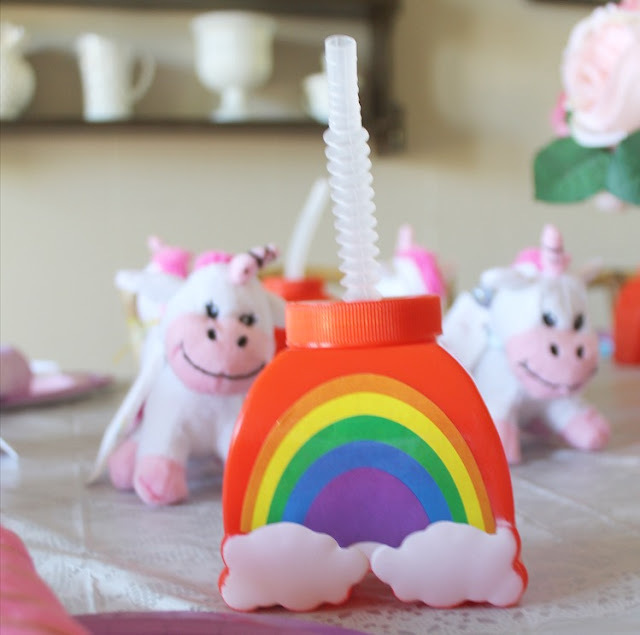 I put some twisty, rainbow suckers in a milk glass jars on the table as well. Sadie had the best birthday! 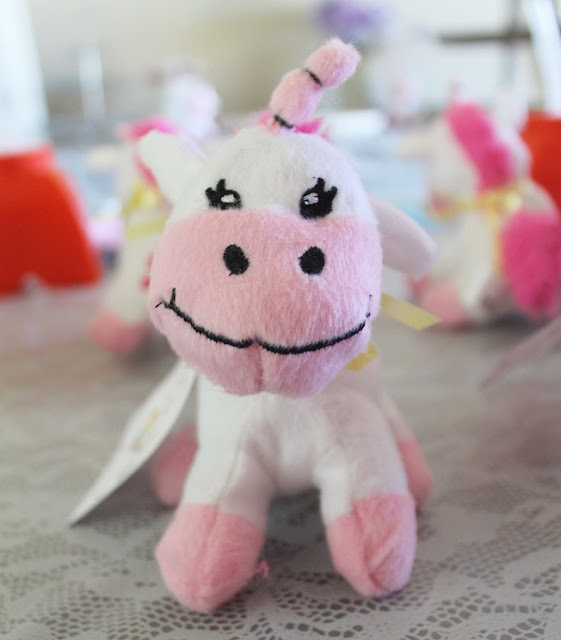 She definately loved every minute of it.